Not even three months after its production announcement, Ferrari has already delivered the first Sergio, a wildly modified 458 Spider meant to honor Sergio Pininfarina, founder of the eponymous design studio that has turned out so many memorable prancing horses. Unsurprisingly, the roofless Ferrari, the first of six, was delivered to the Middle East, going to the SBH Royal Auto Gallery in the United Arab Emirates' capital, Abu Dhabi. Ferrari handed over the keys at the Yas Marina Circuit, which is currently playing host to the Finali Mondiali Ferrari, the same place the FXX K debuted earlier this week. 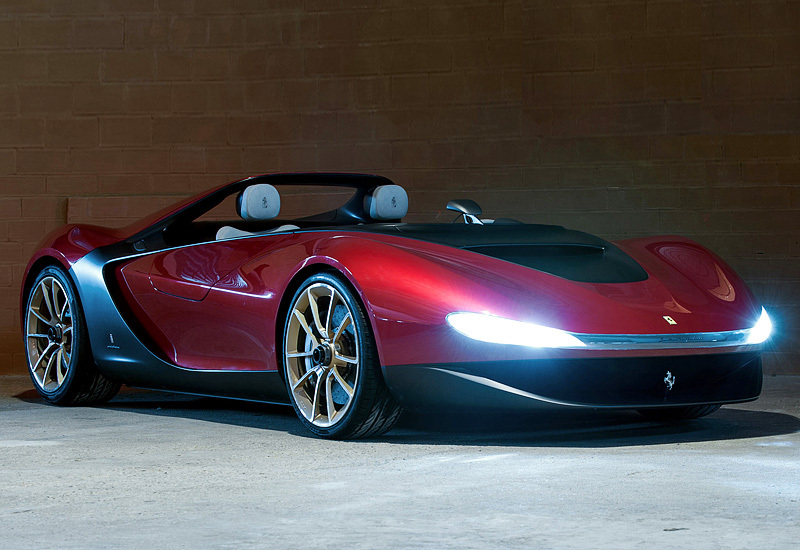 With a 605-horsepower, 4.5-liter V8, the Sergio can hit 60 miles per hour in just three seconds, although this particular Ferrari is about a lot more than performance. The Pininfarina styling is the real focus here, giving a few lucky owners the opportunity to enjoy concept-car styling in a road-legal machine. Unlike the original Sergio, that debuted at the 2013 Geneva Motor Show, though, the production model is somewhat tamer. Blame the necessity that is the windshield. That, though is the most significant change in evidence. All the very best parts of the concept car have seemingly made it through to production, including the lovely forward-swept rollbar and the stylish black element that defines the profile.